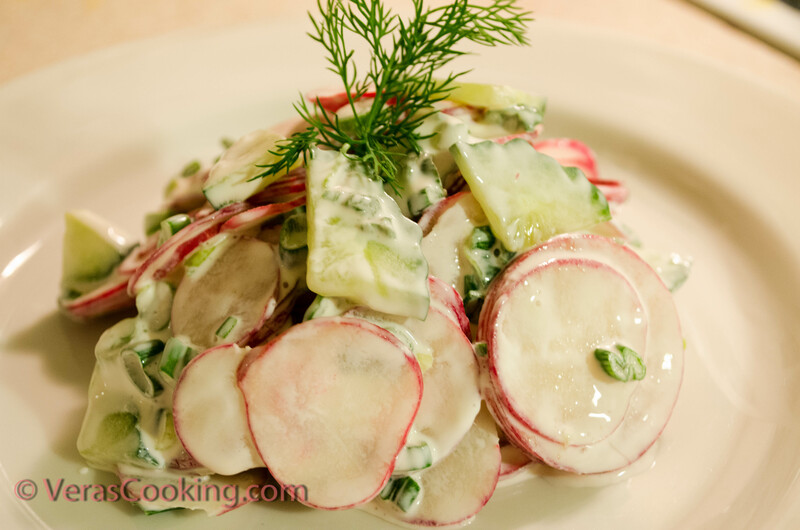 This Radish and Cucumber Salad has a hint of spring in it. Back in Ukraine, fresh vegetables were available mostly in springtime. So the only time we got to enjoy it was spring and summer. Here, in United States, fresh fruits and vegetables available all year round, so we can enjoy this blast of vitamins anytime we feel like it. This is something to be thankful for. This Spring Salad is healthy, delicious, and really, effortless. When shopping for radishes, look for uniformly shaped radishes that are free of blemishes, firm and bright red color. Prepare the vegetables by rinsing in cold water. Cut off stems and tails off radishes, and slice (you can use a food processor for that). Slice cucumbers thinly. Chop green onions. Toss everything together. Season with salt. Prepare the vegetables by rinsing in cold water. 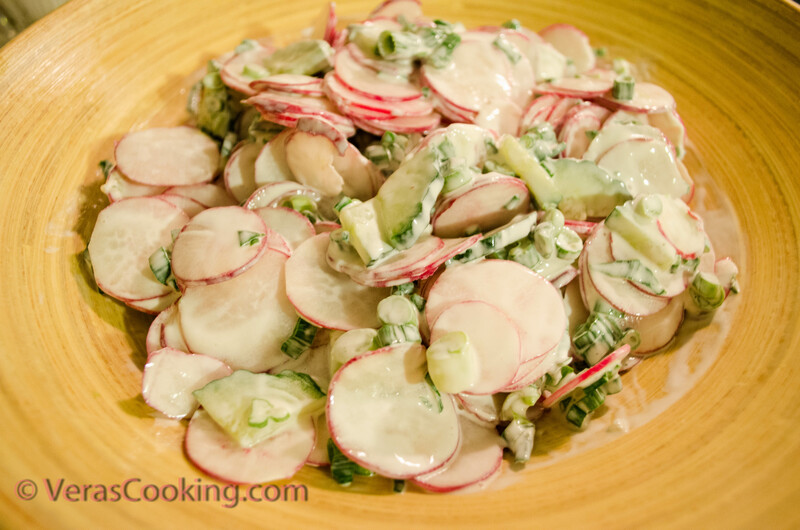 Cut off stems and tails off radishes, and slice (you can use a food processor for that). It totally makes my day when I get comments like this one. So happy to know that you’re enjoying my recipes!